This fee is for student employees of member organizations who are full time students and employed part time or in a co-op work term. Taking place in Regina, the capital city of Saskatchewan, at the DoubleTree by Hilton Hotel and Convention Centre, the next biannual conference will provide you with the opportunity to meet your fellow colleagues and WARUCC members, learn new ways to support your staff and students, and be motivated by presentations from engaging speakers. Book your hotel room at the Conference rate by visiting the WARUCC 2019 hotel link. Note: Booking your hotel room early is strongly advised due to the heavy demand on hotels in Regina as a result of Agri-Business Week. Information will be updated regularly. 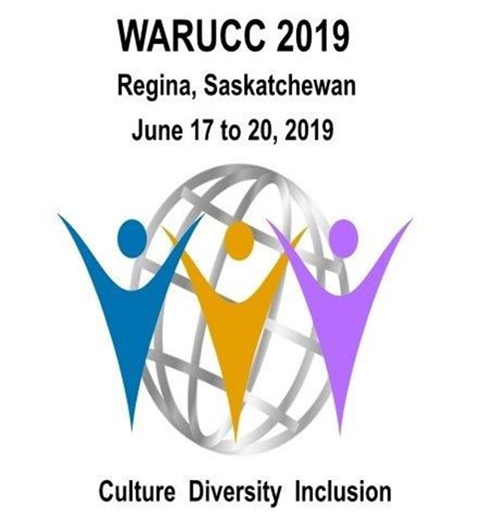 Please visit the WARUCC 2019 webpage for updates. The deadline for early bird conference registration fee is May 15, 2019. Your conference registration fee includes the meals indicated below. The daily conference registration fee includes the meals for that day only. The pre-conference registration fee includes a light breakfast and lunch. Cancellations received in writing by 11:59 p.m. CST June 8, 2019 will be eligible for a refund minus a $50 administration fee. Refunds will not be available after June 8, 2017; however, delegate substitution will be allowed. Contact conferences@warucc.ca to cancel a registration or to make a substitute.